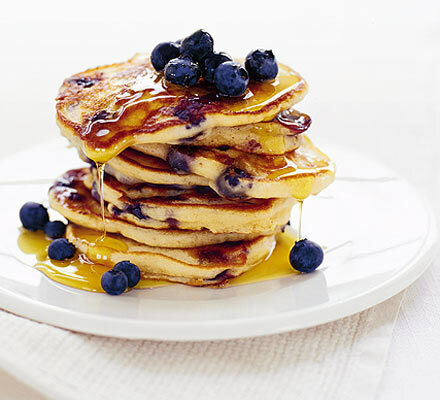 American pancakes for breakfast. I had some with some girlfriends a few weeks ago and they were just gorgeous. I made some for Mr P and I for breakfast this morning and they went down a treat. They are surprisingly easy to make and a lovely treat for a weekend morning. Being a Nigella fan I used her recipe from here. There’s also another good one here. Give it a go! How very strange!! I made nigella pancakes ( with bacon and maple syrup) for the very first time this morning!! yummy!! !